Why Is Video Marketing Important For You? I could go on far with the list, but you get what I mean. Little did I know that my so-called ‘non-edited’ videos gained thousands of views a day on YouTube and drove, even more, traffic to my blog. I made this little discovery a few days back and am definitely starting video marketing in the next few weeks. In this post, I’m going to tell you why is video marketing important for you and more importantly, how you can use this for your marketing in 2018 and beyond. This makes all the sense. Video can be fun and informative at the same time. Instead of understanding the whole photo and the messages behind it, you can ‘guide’ and ‘lead’ your audience to better understanding using video. Take a look at this local newspaper and you will get what I mean. Link. YouTube videos can not only transform a boring topic into an interactive one, it can increase the learning capabilities of many in just a short time period. I hate wall of text and with video marketing, you can now share information about your products, services or business through videos. In most cases, people are often interested in video content as it is time-consuming and it doesn’t require you to do a lot of things (except for clicking the play button). Many marketers had reported that video marketing is cheaper in many ways. For starters, the current social media algorithms ensure that videos have better reach compared to other forms of advertising models. In this case, you will enjoy a better conversion rate simply because the reach is more than others. Plus, videos are always very interesting to view and this would allow you to have better relevancy score (such as on Facebook) to ensure that your cost is kept at bay. 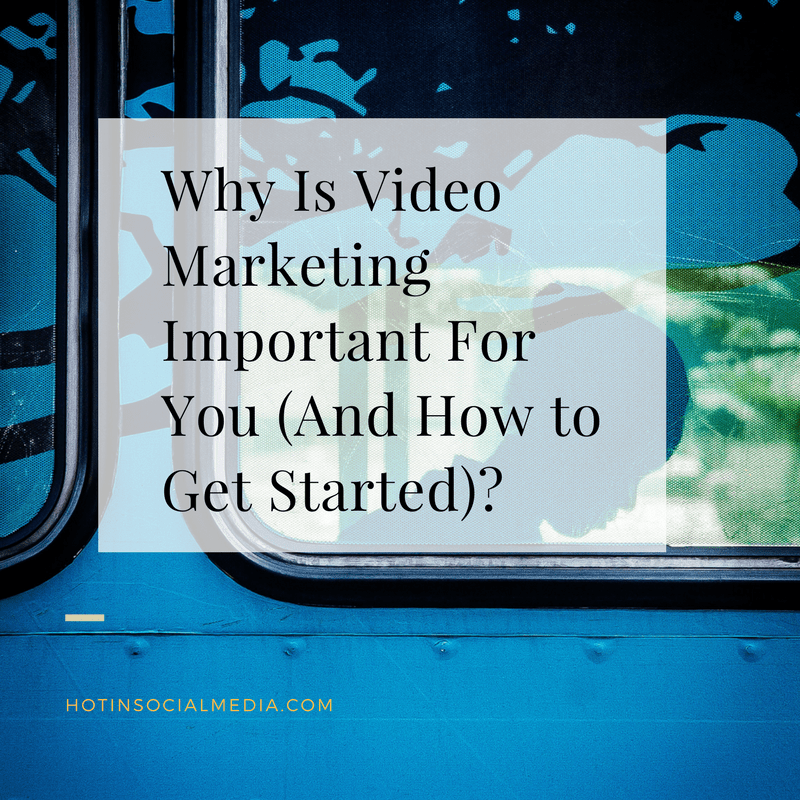 So, how do you get started with video marketing? I would recommend YouTube as your main place to upload your videos. Why? You can upload once and the video will be there forever (assuming that you did not break any rules). The second part is to upload the raw video (not YouTube link) to Facebook or Twitter to further boost your reach. It is important to understand that sharing YouTube video links has lesser reach compared to upload the videos directly to Facebook or Twitter. If you are just starting out, you don’t have to pay hundreds of dollars for video editing. You can start with simply editing (or none at all). Once you are comfortable with video marketing, you should consider editing the videos for more professional display. Take a look at YouTube or Facebook videos. All the videos that gained attention are often well edited and look good. Videos edited would give a better facelift for you and more importantly, you can start adding more interaction on the video to ensure that your viewers are constantly interested in more videos. Most of the time, people don’t consider using captions in their videos but I highly recommend them. If you could, do it in different languages to reach a wider audience! Captions are good especially when you speak too fast or at the point where the audio in the video is not clear for listening. Again, this can be done in the video editing part and you should take note on this when you want to start video marketing in the coming weeks or months. No, you don’t need to use expensive equipment to shoot your video. You can use normal ones and even your smartphones for starters. At most, consider getting external microphones and a camera stand to hold your phone or camera in place. It is important to understand that the most annoying issues with video are when the camera shakes. If you choose to buy from Amazon, it would cost you nothing more than $80 for both the stand and mic. Of course, you can also consider buying a green screen for the background if you are planning to edit the videos at a later stage. Starting up is the toughest parts. In most cases, we want a lot of things but do not take action. According to Noah Kegan, this is the “wantrepreneur effect.” Now you know that video marketing is important and what are you going to do with it? Will you start getting real and when will you get started? As I have said, starting video marketing is not only cheap but it is highly affordable for many. Video marketing works for many industries and even for the ones that could be super discrete. After all, there is always a place for video in the minds of many. So, when are you starting to record your first video?